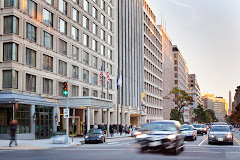 The next AITF Meeting is scheduled for Tuesday, January 29, 2019 in Washington, DC. The meeting will be chaired by PJ Patel. The cost to attend is $250 per person. The closest airport in proximity to the hotel is Reagan National Airport via Metrorail and short taxi ride. A limited number of rooms will be offered for the night of Monday, January 28, 2019 at the conference rate of $229.00 per night single occupancy or $254.00 per night double occupancy. To book call 202-862-1600 and ask for the AITF/The Appraisal Foundation meeting. The deadline for room reservations is January 4, 2019. Please contact Arika Cole with any questions or if this is your first meeting.